Whether you have a love in your life, or friends or family that you want to show your love to, Valentine’s Day is the perfect day to do something fun to celebrate love. There are lots of events going on around Valentine’s Day in Columbus. While these all may not be frugal, a lot of people want to splurge on this day for a loved one, so some of the options are on the expensive end. There will be plenty of Valentine’s Day activities added to the list over the next few weeks, so check back often! Looking for some free and cheap date options that don’t revolve around Valentine’s Day? Check out these posts. 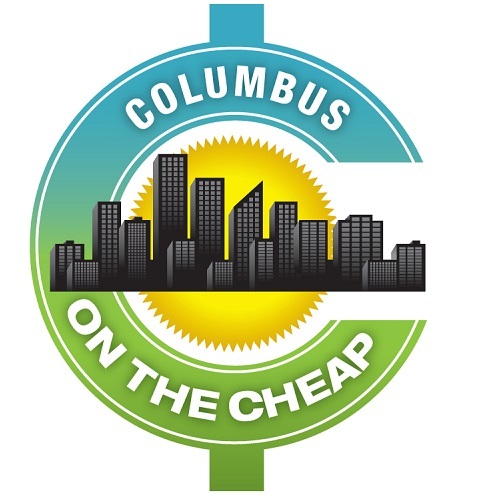 Please leave a comment or email info@columbusonthecheap if you know of an event for Valentine’s Day in Columbus that you think others will enjoy. If you plan to dine out (or take out) for Valentine’s Day, here are some great Valentine’s restaurant deals around Columbus, including heart-shaped pizzas, kids eat free, and dinners for two (at all price points). Looking for a unique gift? Columbus Clippers has a few gift packages available that include tickets to a game this season. Learn to Curl Clinics with Columbus Curling Club. Schedule a session, or purchase a gift card. There are options for kids and teens too! BYOB Valentine’s Day Dive Bar Trolley Crawl: February 4-17. Hop on the BYOB Valentine’s Day Dive Bar Trolley Crawl through Columbus. Bring those you love or hop on our vintage trolley and lets go find love as we explore Columbus and its beautiful dive bars. Tickets are $35. Columbus Zoo 1/2 price Winter Admission: Bundle up and stroll hand in hand at the Zoo. Love Is Sweet: A Couple’s Cake Decorating Workshop by Cakes By Chantal L.L.C. at Copious. February 2 from 6:30-8:30 pm. The evening will include Hours d’Oeuvres, a glass of beer or wine, and instruction and materials techniques for decorating with buttercream. Chantal will teach you how to cut, fill, level, and crumb coat your cake like a professional with buttercream. Learn how to add a smooth or rustic textured buttercream finish and add simple accents with edible flowers. Tickets are $95 per couple. Adult Nights at LEGOLAND Discovery Center: February 7 from 7-10 pm. Open to adults 18+ only on the first Thursday night of each month for a special evening of LEGO fun. Pre-Valentine concert with Bill Cohen: February 8. Love Songs & Laughs to Highlight 10th Annual Valentine Concert. From 7-9 p.m. Refreshments will be served. A $10 donation per person is being requested at the door, with proceeds going to help produce the upcoming Central Ohio Folk Festival. Columbus Mennonite Church at 35 E. Oakland Park. For more info, contact billcohen@columbus.rr.com. Date Night: Love Birds at The Party Studio: February 8 from 6:30 – 9:30 pm. $35 per person. Paint with your love or your most-loved friends! All painting supplies are provided. Bring your own beverage and snacks! They’ll have a wine opener if you bring a bottle! Melting Pot Week of Romance: February 8 – February 13. Choice of two 4 course dinners, plus some special touches and gifts. $119 per couple, or $139 per couple with a select bottle of wine. Be My Valentine Cats Adoption Event and Bake Sale: February 10 from 12-3 pm at the Cat Welfare Association Shelter (741 Wetmore Road). Offering reduced adoption rates and bake sale so you can pick up some treats (and maybe a cat?) for your Valentine. Adoption fees are just $14 for the event; $7 for senior cats. Cat Welfare Assoc. shirts will be available for purchase as well. Wine & Cheesecake Pairing with The Cheesecake Girl (Valentine’s Edition!) by Tastings Wine Bar. February 13 from 6-9 pm. There will be seasonal specials available to order & pair with the wide variety of wines that Tastings offers. Tickets are $25 and must be purchased by 2/11. Valentine’s Day Paint & Pour at Camelot Cellars: February 13 from 6:30pm – 8:30pm. Paint on wine glasses in a workshop led by SOMA Art Studio. A $30 ticket includes two wine glasses to paint and take home as well as one glass of wine to drink. Purchase tickets before they sell out. Valentine’s Wine Tasting at The Bottle Shop: February 13 from 6-9 pm. Try 10 holiday-appropriate wines available to sample for just $30 – from white to red, dry to sweet. Kick off your evening right and find some wines to love. Food truck will be on site. California Pizza Kitchen Sweet Deal for 2: February 13-17: Get one appetizer, two entress, and one dessert from a select menu for $35. Add on 2 glasses of wine for $12. Horse-drawn carriage rides at Easton: February 14-17. Take a horse-drawn carriage ride at Easton in the North District and through Fenlon Square. Cost is $10 per person; children under 15 ride free with paying adult. Carriage rides start outside of Zara on Gramercy Street. Rides are 6-10 pm, except on Sundays from 3-7 pm. Kent Grosswiler, Beauty Found in Darkness at Wexner Center for the Arts February 14. Try something different for Feb. 14: Enjoy a Wex happy hour with champagne and chocolate from 5-7:30 pm, with a guided tour of the galleries at 5 pm, followed by a reading and book signing by one of Columbus’s most illustrious artist, Kent Grosswiler at 6 pm. He’ll be reading a selection of haiku from his book Beauty Found in Darkness (Nix Comics) in addition to other more recent works. COSI After Dark – The Science of Love: February 14 from 5:30 – 10 pm. On the 2nd Thursday of the month, the grown-ups get the run of COSI without kids. Ages 21+ will enjoy exhibits, concessions and cash bar, and fun. The theme for 2/14 is the Science of Love – perfect for Valentine’s Day! Tickets are $14-$20, and there’s an option to add on a food ticket. DATE NIGHT! Birch Tree Romance at The Party Studio: February 14 from 6:30 – 9:30 pm. $35 per person. Paint with your love or your most-loved friends and family – its not just for dates!! All painting supplies are provided. Bring your own beverage and snacks! They’ll have a wine opener if you bring a bottle! Free Valentine photos at Easton: February 14-15. Treat your Valentine to a romantic memory at Easton and visit the Central Park Fountain for a complimentary photo on February 14 and 15 from 5-8 p.m. Photos will be moved inside if there is inclement weather. Candle Lab Valentine’s Date: February 14-16 from 4-8 pm. Enjoy a special date at Candle Lab with your Valentine’s date. For $49 per couple or $25 per person, you’ll each pour a custom-scented soy candle by candlelight while enjoying a glass of sparkling wine and some chocolate. Take a commemorative polaroid photo before you head out to celebrate the rest of your evening. Candles will take 90 minutes to set, but if you dine local to the store, they will deliver to the restaurant. You can also return to pick up another day. It’s a great option to go out with a date, your best friend, or your sister or mom! St. Valentine’s Daze with Doc Robinson at Bleu & Fig: February 14-17. Columbus­-based rock band Doc Robinson will perform seven intimate shows over four days at Bleu & Fig. Each performance will be paired with a menu of heavy hors d’oeuvres from Bleu & Fig chef Brooke Kinsey. Tickets are $75 and includes food and 1 drink. Valentine Party and Airplane Ride at JP’s Barbeque Ribs and Chicken at Bolton Field: February 14. Dinner party is $89.95, or add on an airplane ride for two to the party for $179. Celebrate Valentine’s Day at Shadowbox Live! : February 14. 3 course dinner banquet + champagne followed by a performance of “Desire”, including a dance floor. $145/couple, $75/single. VIP tables for 2 available. Valentine’s Day at the Conservatory: February 14. Wine and chocolate pairing, music and more, plus all of the exhibits with your love. $20 per person. Wine and Chocolate Class at Wine in High: February 14 from 6-7:30 pm or 8-9:30 pm. Perfect pairing of 4 treats from Cakes by Kat with 4 amazing wines to bring out the best of each dessert! for $30. Make your reservations. Buca di Beppo Valentine’s Classic Love Package: February 14, opens at 11 am. Heart-shaped lasagna served with a Buca small, mixed-green or Caesar salad; garlic bread and two mini cannoli for $49.99. Dine in only, feeds up to 3. Valentine’s Dinner at Camelot Cellars: February 14 $95 per couple for candlelight dinner, live music, heirloom rose, and other special features. Valentine’s Day in a Box from Cameron Mitchell: February 14 and February 15. Can’t get out for Valentine’s Day? Pick up a complete romantic dinner for two “in a box” this Valentine’s Day. Enjoy an intimate four-course dinner for two, partially cooked with easy instructions for finishing in the comfort of your own home. $125-$149. Orders placed by Feb 8; pickup Feb 14-15. Looking to dine out for Valentine’s Day (or the weekend after)? OpenTable has a list of special Valentine’s menus in the Columbus area. Valentine’s Dinner at Melting Pot: February 15-16. The 5-course dinner is the only menu offered on February 15-16. The price is $60 per person. Kids 5-12 can enjoy a 3-course dinner for $30 per child. Please call for more details. Candle Lab Valentine’s Date: February 14-16 from 4-8 pm. Enjoy a special date at Candle Lab with your Valentine’s date. For $49 per couple or $25 per person, you’ll each pour a custom-scented soy candle by candlelight while enjoying a glass of sparkling wine and some chocolate. Take a commemorative polaroid photo before you head out to celebrate the rest of your evening. Candles will take 90 minutes to set, but if you dine local to the store, they will deliver to the restaurant. You can also return to pick up another day. It’s a great option for an evening out with a date, your best friend, or your sister or mom! Metro Parks Winter Hike Series: Saturday, February 16 at Three Creeks and Sunday, February 17 at Slate Run. Valentine’s Day Champagne Tasting at Spagio: February 16 from 4-7 pm. Featuring 12 different rosé Champagnes, Cremants, Proseccos, and Cavas as well as light hors d’oeuvres. Tickets are $40 plus tax and gratuity. Sign up online or call 614-486-1114 ext 2 to reserve your spaces today. Soine Vineyards Valentine’s Date Night: February 16 from 6 – 8 p.m. Live music, chocolate fountain, and wine. No cover charge! DATE NIGHT! Little Shop of Horrors! at The Party Studio: February 16 from 6:30 – 9:30 pm. $35 per person. Paint with your love or your most-loved friends! All painting supplies are provided. Bring your own beverage and snacks! They’ll have a wine opener if you bring a bottle! Princess Bride Beer Tasting at Studio 35: February 16 at 8 pm. Tickets are $30, and you will receive (10) 4-5 oz pours of Mad Tree Brewing beer, a custom Princess Bride themed pint glass, there will be numerous raffle prizes, and some funny stuff on the big screen. After the tasting, we will be showing The Princess Bride. Tickets WILL sell out! Candle Lab Valentine’s Date: February 14-17 from 4-8 pm. Enjoy a special date at Candle Lab with your Valentine’s date. For $49 per couple or $25 per person, you’ll each pour a custom-scented soy candle by candlelight while enjoying a glass of sparkling wine and some chocolate. Take a commemorative polaroid photo before you head out to celebrate the rest of your evening. Candles will take 90 minutes to set, but if you dine local to the store, they will deliver to the restaurant. You can also return to pick up another day. It’s a great option for an evening out with a date, your best friend, or your sister or mom!